. CYP 1 to 4 HDMI UHD 4K2K Splitter 3D Support. HDCP Compliant. CYP 1 to 4 HDMI UHD 4K2K Splitter 3D Support. HDCP Compliant. CYP 1 to 4 HDMI UHD 4K2K Splitter 3D Support. HDCP Compliant. 1080p/60Hz Support. 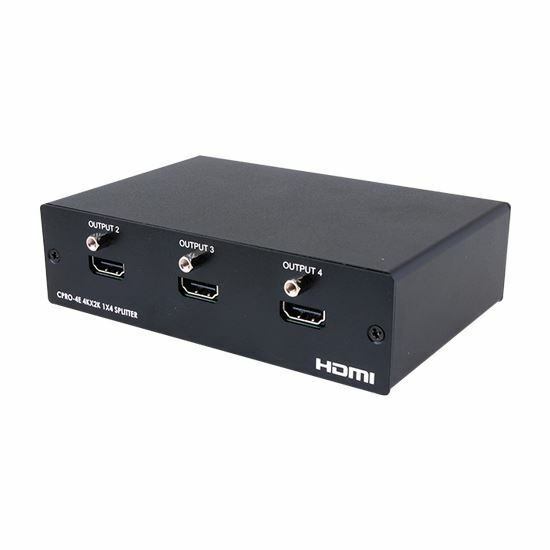 The v1.4 1x4 HDMI 4K2K Splitter from Cypress Technology is a high-performance splitter that supports 4K2K, 3D, 12bit Deep Colour as well as High Definition Lossless Audio. With its 3Gbps bandwidth and the additional features of the latest HDMI standards, users can be sure of great HDMI distribution.